Great for making maple candy, maple cream, cake frosting or as an ice cream topping. Great as a table syrup. 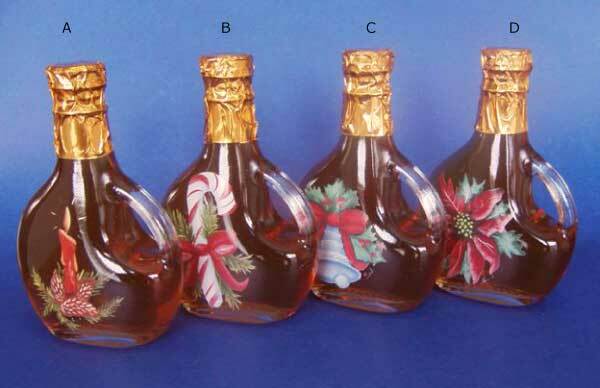 Choose from 4 different Holiday themes depicted on these glass basque jugs. 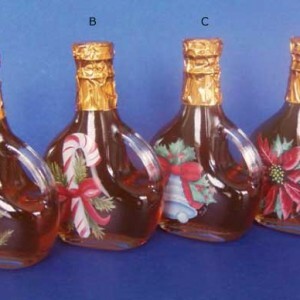 They make great gifts and will add a cheerful look and taste to your home too. Basque Holiday Candle A – 8.5 oz., Basque Candy Cane B – 8.5 oz., Basque Holiday Bell C – 8.5 oz., Basque Poinsettia D – 8.5 oz.